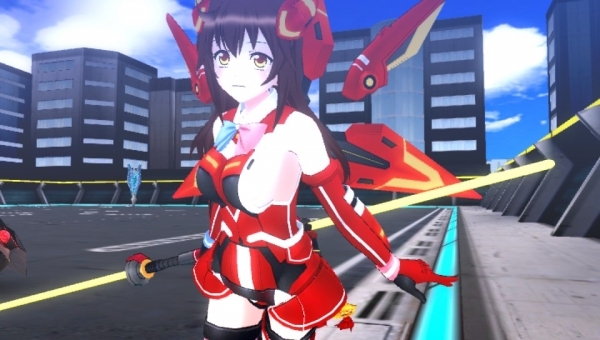 Today via press release Rising Star games has announced it will be bringing Shinsei Batteki Drive Girls as Drive Girls to Europe. In this action packed game from Tamsoft you do battle as girls that transform into super cars! The game will release in Europe on May 26th for the PlayStation Vita console. You can pre-order a copy at Play-Asia with our affiliate link below. You can check out the full press release below the break from even more details! LONDON, UK – 25th April 2017 – Rising Star Games today announced that the turbo-powered PlayStation®Vita smash Drive Girls is scheduled for physical retail and digital release in Europe on 26th May. An experience straight out of Japan, Drive Girls is developed by the legendary Tamsoft and features characters designed by popular illustrator UGUME. This fast-paced story-driven game transports you to a world where it’s normal for humans to transform into supercars – a world that is being invaded by mechanised Bug enemies! It’s up to the Drive Girls – five supercar transforming supergirls – to defend their home of Sun Island, cross the finish line and save the day.